So one thing I did not expect going into law school was how many professional events I would end up attending. I knew there would be professional events and I made sure I had a suit ready but I guess I never really thought through what those events would actually entail... news flash it entails a lot of rules that I did not know. I grew up on my parent's horse farm. My childhood was full of horses, dirty boots and a lot of time outside- I loved every minute. My parents taught me good manners and all that jazz but our life had no reason for me to know fine dining rules or fancy etiquette or what to do with the mini fork above your plate. To some people, this probably seems crazy but in my family, there just wasn't a reason to learn fancy etiquette. Once in college, I attended a few events where there were more forks than I knew what to do with but I just kind of went with it and didn't think too much into it. Once I was in law school, the importance of first impressions was stressed to us over and over again. Also, the idea of "networking events" struck a sense of fear in me. How do you carry a drink, a napkin of hors-d'oeuvres and be able to shake hands without dropping something? What does one do at a fancy scholarship dinner when there are multiple forks? I am naturally an introvert and I get pretty anxious in social situations because I am so shy. Networking events stress me out for that reason. I am always worried I will do or say the wrong thing and embarrass myself. My school offered an etiquette class during the first semester and I signed myself right up so I would not embarrass myself in the Spring networking events. The event was very helpful and I learned a lot but I also decided that I needed to know more. 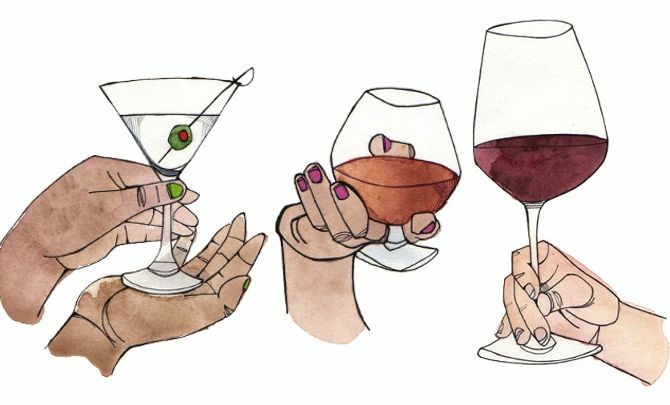 So I spent a few weekends doing some research on etiquette and by the time I had networking events and dinners, I felt a lot more comfortable because I knew I wouldn't embarrass myself with a silly etiquette faux pax. Spending a little time and giving myself an education in basic etiquette made me feel like a more confident person in general. It has helped to ease my social anxiety and shyness because I am less worried about embarrassing myself. 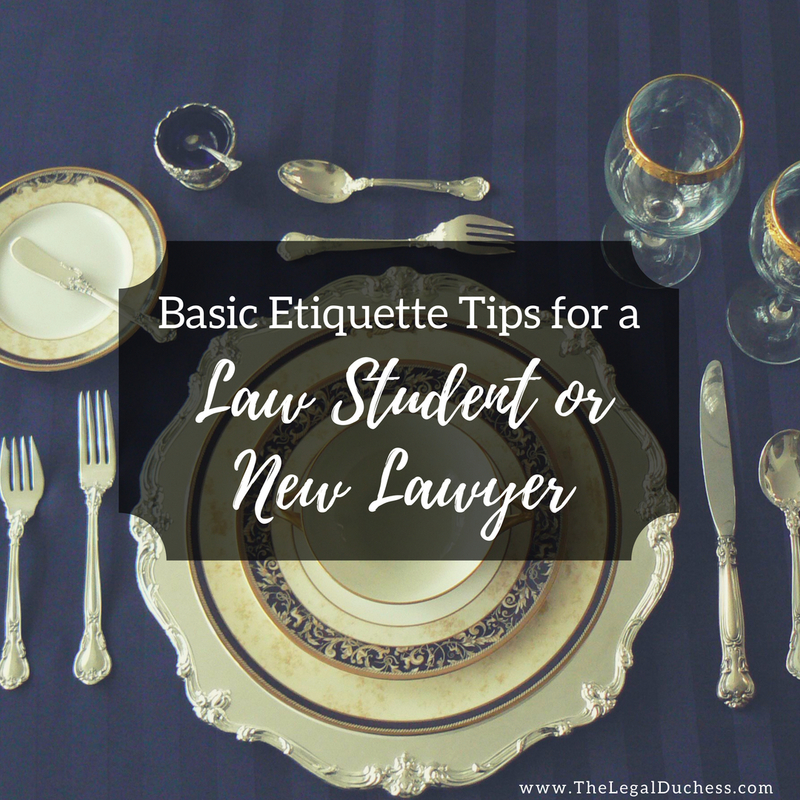 So without further ado, I am sharing my top 5 tips for basic etiquette as a law student or new lawyer. This is not an all-inclusive list by any means- it is just the result of my own experiences and observations. 1. What Fork do I Use? Formal dining events have the most etiquette rules. I have used the wrong fork more times than I care to admit but I finally started to figure it out. I found this handy graphic and studied it. Instead of trying to explain it, I will just leave it here for your own perusal. 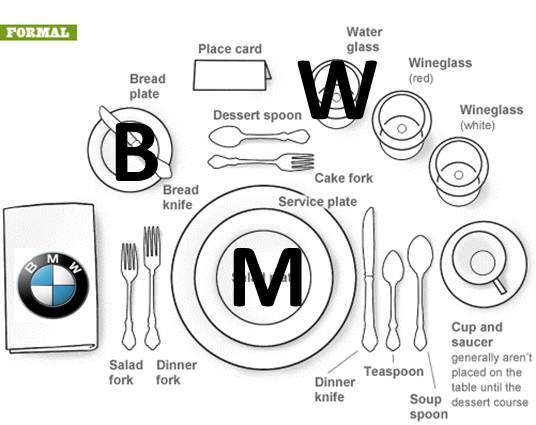 Two tip's I do have is (1) BMW (bread, meal, water left to right) and (2) start from the outside in for silverware. Eat finger foods that are not messy- easier to avoid spills and stains that way! Always be kind and courteous to everyone around you- invite people on the fringe of a conversation to join, make eye contact with everyone in your direct conversation group, etc. Be able to enter and exit a conversation politely. It's not hard, just introduce yourself during a lull in conversation to enter and politely excuse yourself to exit. This should be a no-brainer but given things I have observed at networking events and formal dinners- it apparently isn't. Leave your phone in your pocket or bag. Period. Unless someone gives you their number or email and you have nowhere to write it down. Do not shake hands like a limp fish. Use some grip and give a firm handshake. Be kind and polite to everyone you encounter and treat them with respect- professionals and wait staff alike. Nothing reflects more poorly on you than treating wait staff impolitely.... not to mention it is just being a good human being.